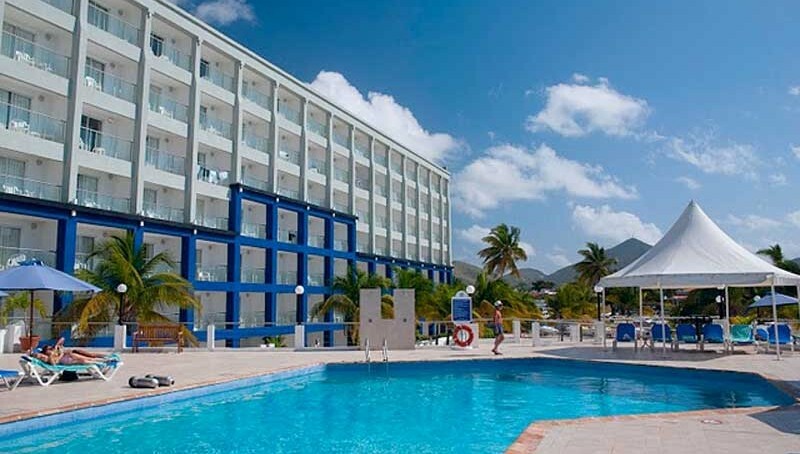 This property is a two bedroom unit and located in the Great Bay resort’s semi-private Miramar wing. 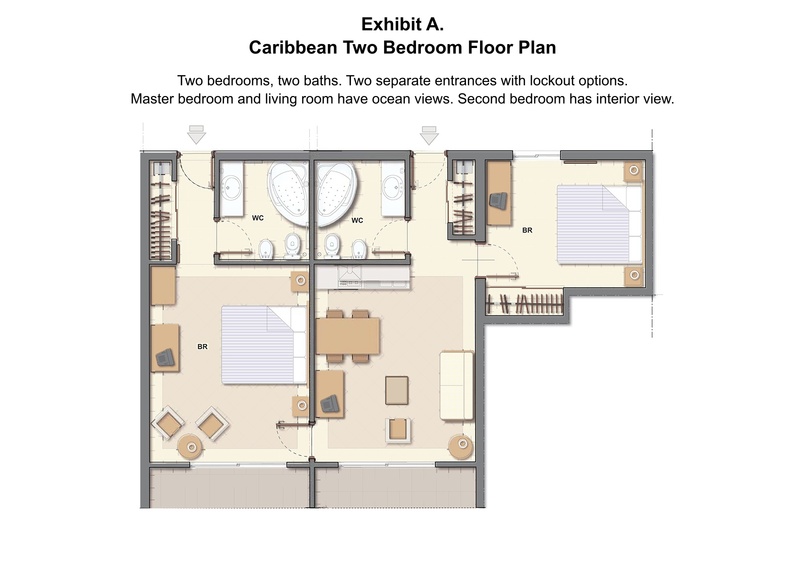 The wing offers quiet, spacious floor plans, a swimming pool, sun deck and outdoor whirlpool. 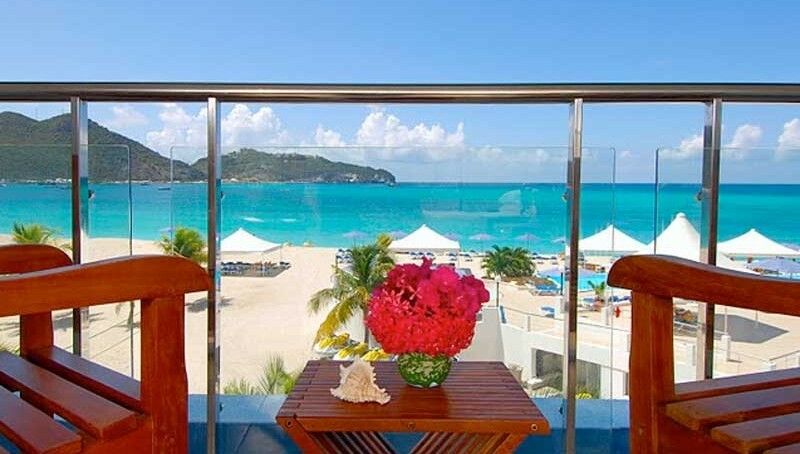 Every unit features private balconies with stunning views of the mile long white-sand beach. 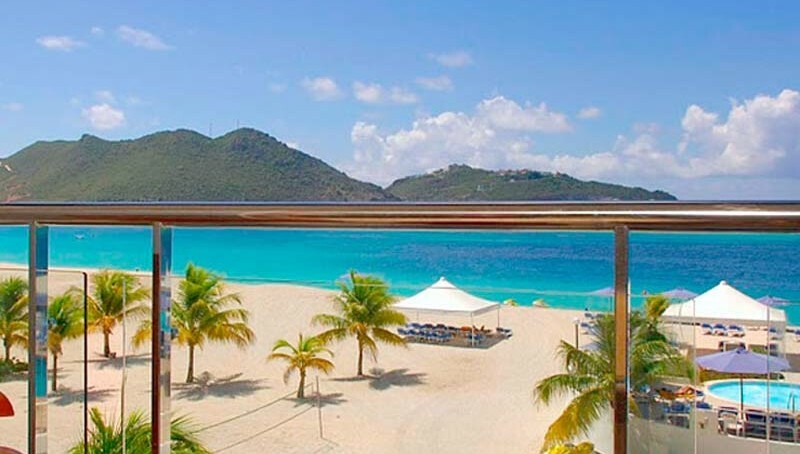 Design highlight Great Bay’s soothing Caribbean vibe. 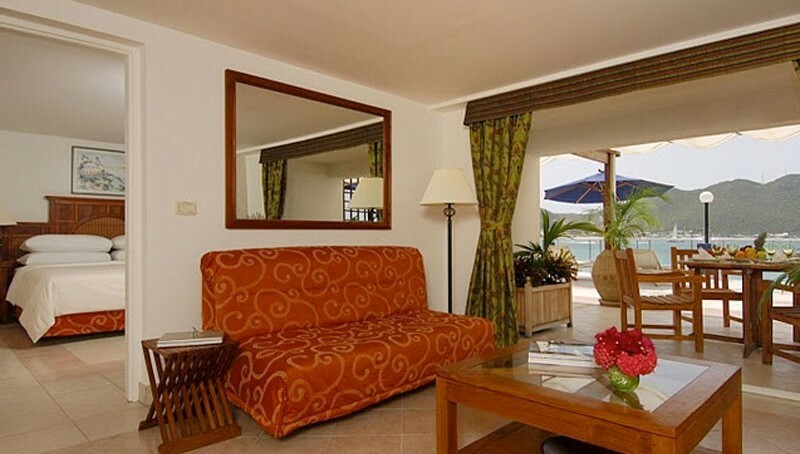 All units are furnished in warm hues of the Caribbean — oranges and yellows mimic the sunsets, while greens and blues portray the lush landscaping and the ocean. Sumptuous teakwood furnishings add a luxurious touch. All units provide easy access to the wing’s freshwater swimming pool, sun terrace and outdoor whirlpool. Master bedroom is decorated in tropical colors, with the centerpiece being a hand-carved teak headboard, which is home to a king-size bed. Unit boasts satellite television, electronic safe, telephone, coffee maker, iron and ironing board, private balcony, large bathrooms with walk-in rain head showers and whirlpool bathtubs. An open kitchen — complete with refrigerator, stove and dishwasher — gives way to the living area, which is equipped with television, telephone, dining table, comfortable seating and a couch that is easily accommodated into a double bed.